I think about that boy and his five loaves of bread and two fish (Matt. 14:13-21). What if he hadn’t brought them forward when Jesus had a hungry, megachurch congregation to feed? What if he had decided to be a little punk and say, “Well, that’s extremely lame! Five measly loaves and two scrawny fish? I wanted to be able to give more, to feed all five thousand! All by myself!” First, that’s just absurd. Second, the boy would have missed out on an opportunity to share in Christ’s miraculous demonstration of His power. It may have been a humble offering, but did that make the outcome any less effective, any less miraculous? I can’t always give a lot, but that is no excuse to keep from giving. I can always give what I have, right now, in this moment, and trust God to provide the rest. My time, my money, my talents, and when I’m really feeling it, my mojo. Some days it might be enough to buy two loads of laundry and feed five thousand; other days it might be less. 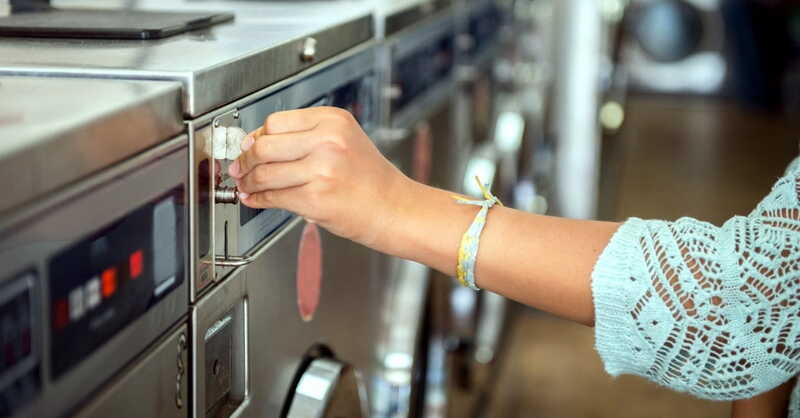 I stuck the five quarters in the washing- machine slot and weighted the sticky note with a Tide detergent pod. Throughout the rest of the morning I kept the promise I wrote on the sticky note. I prayed this gift would bless whoever needed it most in our building, and for the discovery to be timed in a special way that would point him or her to Jesus. Maybe I was expecting too much out of five quarters and a Tide detergent pod, but I figured if they weren’t meant for performing some sort of miracle, at least someone else in our apartment building might appreciate not having to mine for quarters in order to wash his or her laundry. But isn’t that the perfect reflection of what giving is? Is anything I give actually mine? No, what I give is never my own, what I share is never from what I have created or collected or earned or harbored for myself. What I give is always an overflow of the gifts and the love I have been given in Christ. I didn’t know what the impact of five quarters, a Tide detergent pod, and a sticky note would be. While He is able, I didn’t expect God to multiply it into five thousand loads of laundry. But even when I have nothing left to give, I always have a prayer to pray. I can pray it will make a difference in someone’s day, pray it will point him or her to Christ, pray it will encourage. I can pray the Lord will speak into my heart again tomorrow, pray I will be paying close enough attention to hear Him. 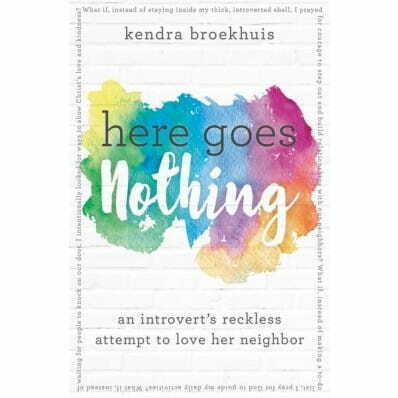 This excerpt is from Chapter 1 of Here Goes Nothing by Kendra Broekhuis http://www.kendrabroekhuis.com/book/. ©2017 by Kendra Broekhuis; used by permission of Thomas Nelson.